Since one of my most popular videos is acupressure for constipation and I also get good feedbacks for my video on how to massage for constipation, this week I’m going to share with you my new favorite that helps to cleanse my body. 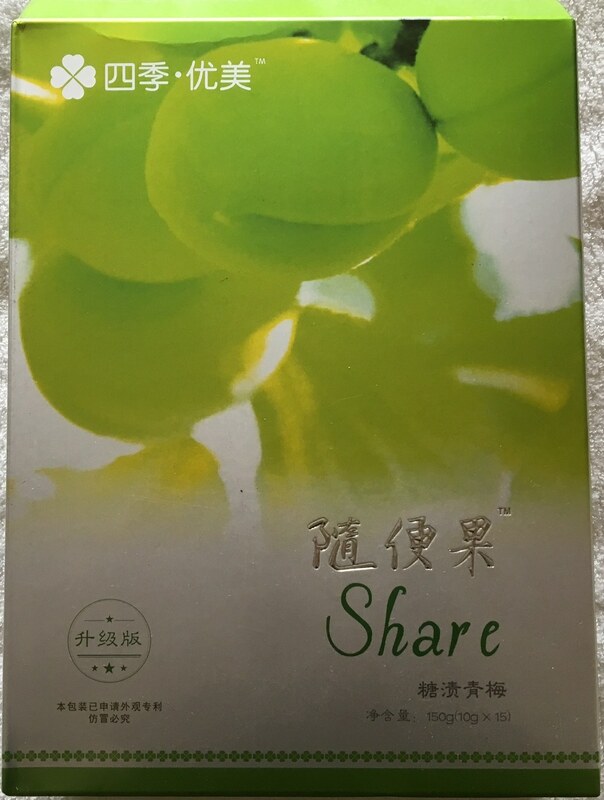 It’s called Share Plum. It’s a Chinese product. I found out about this product when my friend in Japan posted about it on Facebook. I am a very regular person and I’m not constipated but when I was in a raw food class, they said if you eat three times and don’t go four times you are constipated so I may be constipated in that sense. So I wanted to try this product more for even better elimination, detox, cleansing, and possibly weight loss. The box comes with 15 individually wrapped plums and about $25 in the US. I heard it’s about half the price in Taiwan. Its expiration date is 2 years from the manufactured date. It’s basically a green plum marinated in Chinese herbs. You eat the fruit except the seed and that’s it. The taste is not bad and it’s like a snack. When I got this product I was very excited and started eating it without reading the direction. I ate one at night, one the following morning, one in the afternoon, and one before going to bed. So I had four in a day. The following day I had a very bad diarrhea. Sorry for TMI but it was just water coming out. Then I read the direction and I was supposed to eat one every two or three days with plenty of warm water. So be very careful. 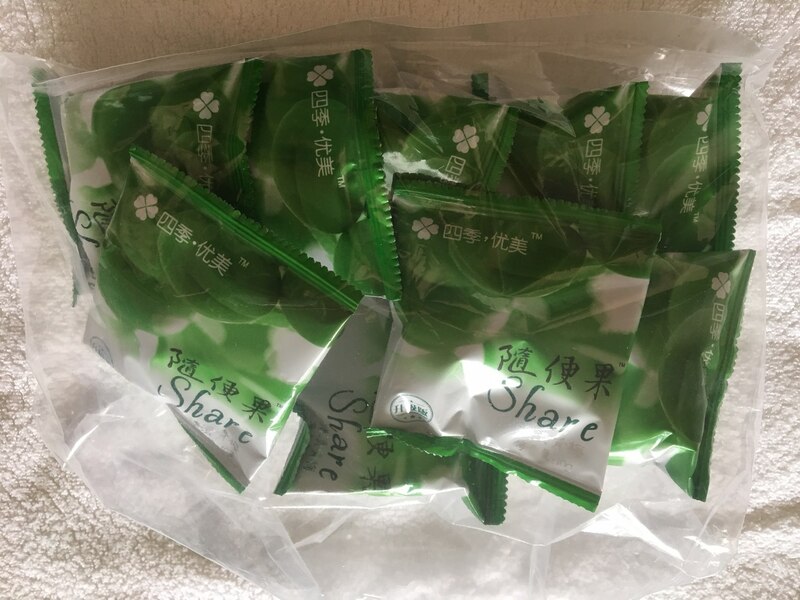 The usage is different depending on what you want to accomplish whether for general detox, constipation, reducing visceral fat, reducing acne and pimples, and reducing adverse effects from smoking and drinking including hangover. You can learn how to take this product in more detail in the link below. Anyway, I’m more careful on how often I take this product but for me, I noticed my belly goes flat and I feel great when I take this product. But as with anything, it may not work for you. I have a friend who is severely constipated and although she had some activity, she didn’t think it worked for her. If you want to try this please decide for yourself.